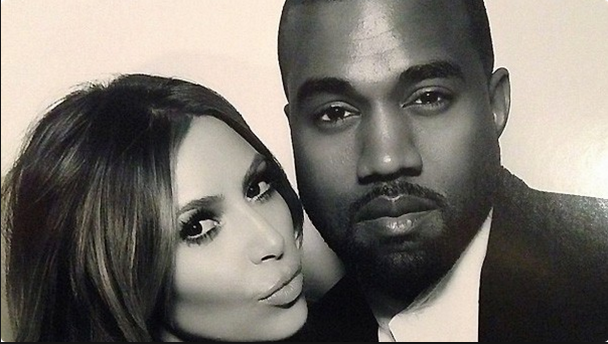 Kardashian and Kanye West are expecting their second child together. Kim Kardashian is pregnant! The reality star is expecting her second child with Kanye West, it was revealed on Sunday. The teaser then cuts to a grinning Kardashian telling sister Khloe, “I just got the blood tests back and I am pregnant!” Khloe immediately yells out a happy, “What? !” Interestingly, Kardashian live-tweeted the “KUWTK” episode as it aired on E!, but has not yet commented on the big news featured at the end. The impending arrival will make Kardashian and West’s daughter North, who will turn 2 in June, a big sister. The couple has been vocal about their desire to have another child, and open about the fertility issues that plagued them over the last year, some of which were seen on “KUWTK,” including this midseason finale. But the pregnancy news comes right after a number of tabloids inaccurately claimed that Kardashian was going use a surrogate. Last week, Gossip Cop busted Us Weekly for wrongly alleging Kardashian and West were planning to “do surrogacy over adoption” this summer. Similarly, Gossip Cop busted In Touch last week for an absurd story that alleged West didn’t “think Kim is going to get pregnant naturally,” so he was hiring a surrogate behind Kardashian’s back. Gossip Cop corrected both stories and, clearly, we were right. Gossip Cop has reached out to a rep for more information about Kardashian’s pregnancy. The jam-packed “KUWTK” trailer also features a look at her trip to Armenia, more of the family’s reaction to Bruce Jenner’s transition, talk of Kylie Jenner’s birth control pills, and the latest on Khloe and Lamar Odom, plus a preview of the upcoming spinoff series, “Dash Dolls.” Watch below! i bet kris is hoping it's a girl so she'll have another source of income waiting in the wings once kylie gets too used up, and north gets started on the hoe stroll.